ERATO is an art-song chamber collective formed in 2006 by tenor/composer William George and soprano/composer Catherine Laub. Erato’s mission is to preserve the art-song tradition while creating new works in the genre (often by Vancouver-based composers), and to advance the public’s appreciation of the arts by providing high-quality artistic performances in public places. What makes Erato unique is the mixing of solo vocal music with unexpected instrumentation. Erato’s core ensemble features Soprano, Tenor, Piano, Violin, Cello, Flute, Clarinet, Saxophone, and Guitar. We also regularly feature other instruments and voice types as needed for specific repertoire. 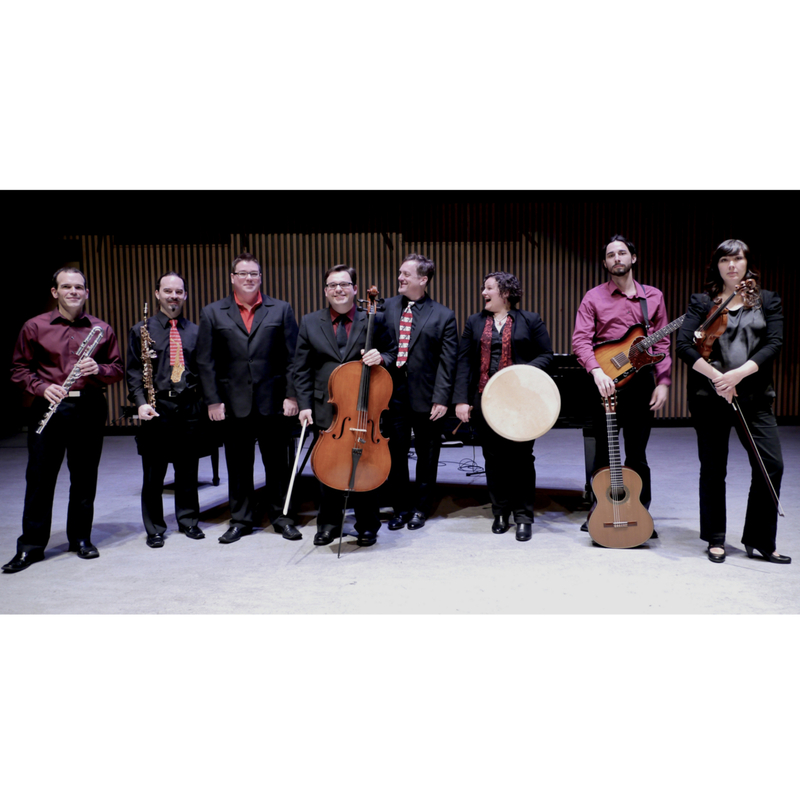 The ensemble fills a necessary role in the local artistic life of the city, and includes some of the top musicians in the Vancouver area (featuring members of the Vancouver Symphony, Vancouver Chamber Choir, and UBC and VSO faculty, among others). Besides Erato’s own concerts, the ensemble has been featured with Vancouver New Music, Vancouver Pro Musica, Vancouver International Song Institute, Vancouver Cultural Olympiad, CMC’s New Music in New Places, The Roedde Museum, and In The House Festival.